After an extended leave and hard work, I come back with many things to tell you. I kept silent during two little months… Yes, I know it´s quite a long time… But I was working on my new blog – that I invite you to explore now – and my new online shop which will be ready next week! For quite some time, I’ve been thinking of bringing a new focus on the blog and the shop. I started the blog 6 years ago, and didn’t make any change until now. I think it was long overdue! You can now find a simple, practical and functional blog. 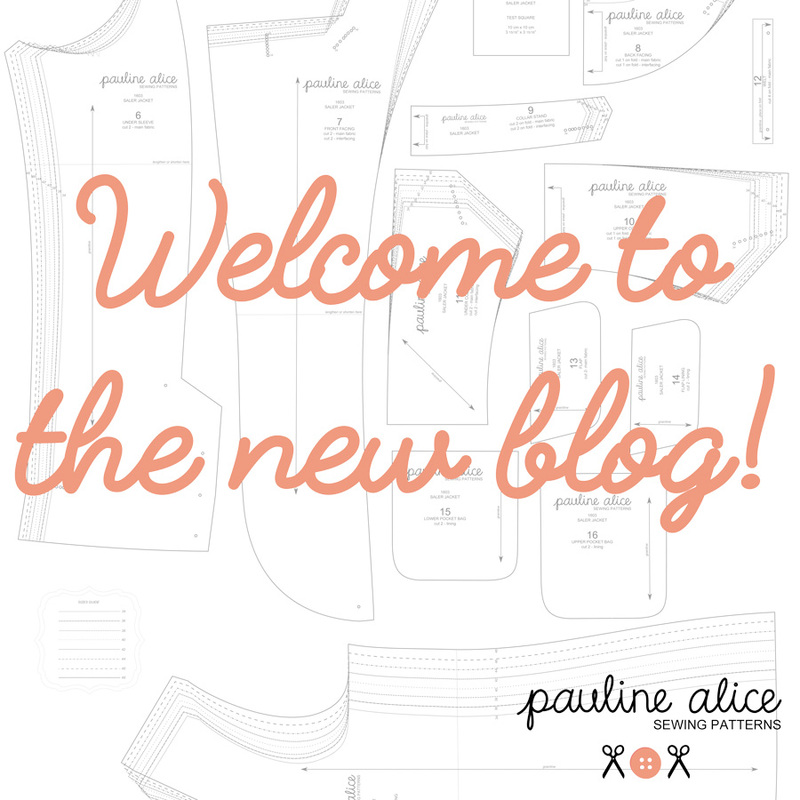 I hope that you will enjoy this new Pauline Alice blog! As you can see, the blog is still available in English, French and Spanish. 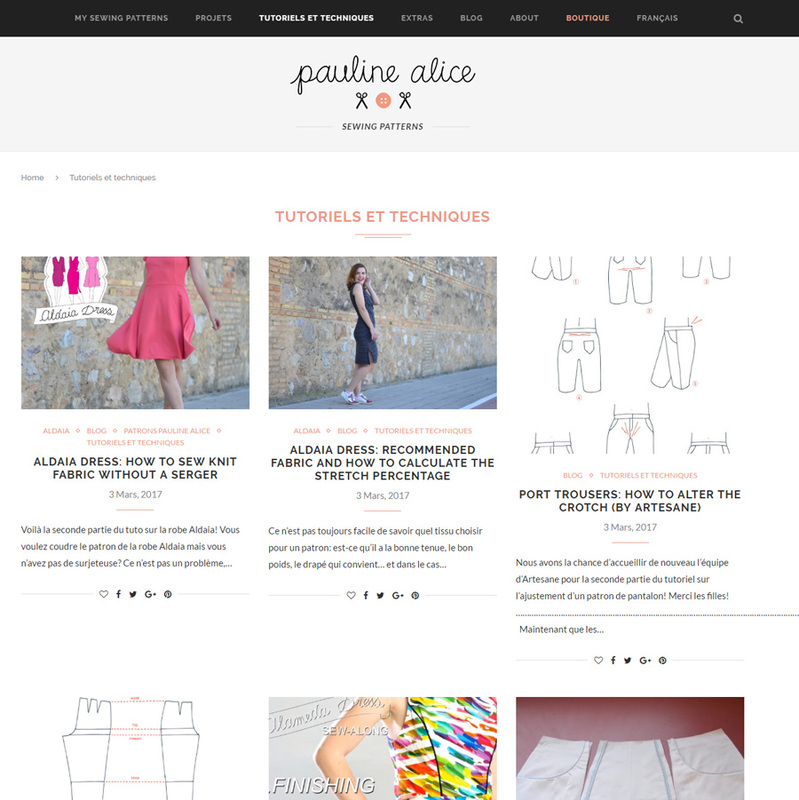 One of the new feature of the blog is the possibility to access the Pauline Alice patterns gallery. On “my sewing patterns”, you’ll find all the patterns and every post ever written about it. 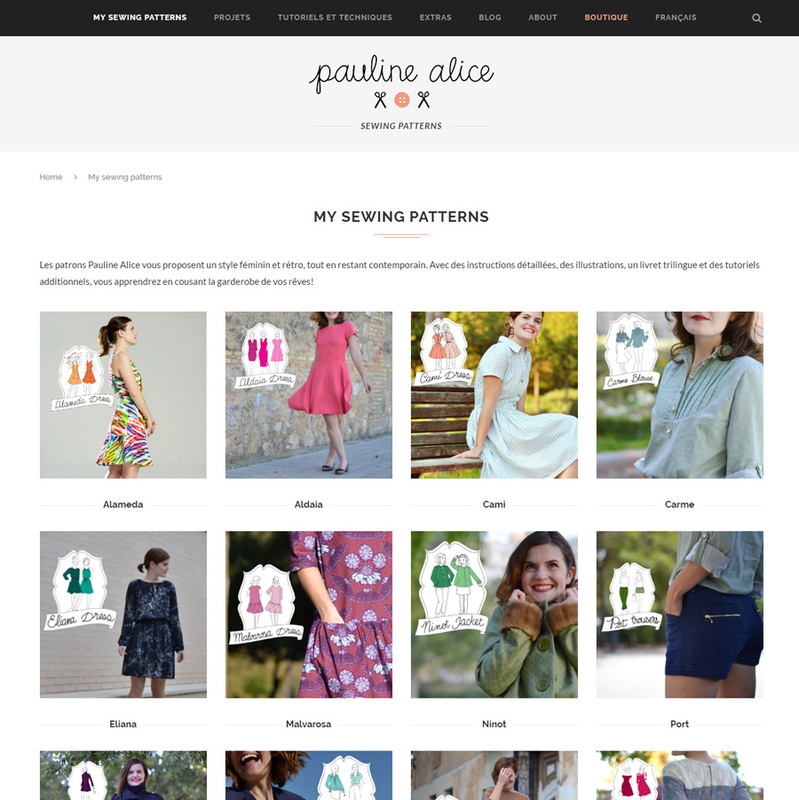 There’s also some new categories: tutorials and techniques, or Extras including all the pattern hacks made from Pauline Alice sewing patterns and free patterns. During the migration of all individual accounts on the new shop, you won’t be able to access your PDF patterns library on your account. I invite you to download and save all your PDF patterns files (you have until the new shop release next week). All my apologies for the inconvenience. Do not hesitate to contact me at info@paulinealicepatterns.com in case you need more information. While waiting for the new patterns release next week (and also the restocking of Aldaia, Xerea and Rosari patterns), I hope you’ll enjoy the new blog!